Caralee Trenton owns an extreme outdoor adventure company and spends her days pushing people to their limits in the rugged Rocky Mountains. The unexpected death of her Nana forces Lee to face challenges of her own. She must return to the South to settle her Nana's estate in Eden and navigate a minefield of childhood memories, fractured relationships and family history. A dose of Southern hospitality and sweet tea, along with her childhood friend, John Hunter, complicates her effort to finalize the sale of her Nana's antebellum home and all her possesions. Lee hasn't seen John Hunter in 20 long years and his presence dredges up painful memories, along with newfound desires. As Lee sorts through both Nana’s estate and her own confused emotions, Nana’s ghost shadows her granddaughter. Worried that history will repeat itself, Nana decides to stir up a mess of trouble in Lee’s ordered plans. Lee is pushed to a crossroads where she must decide whether to stay on her independent journey or take a chance on a different future and fight for the man she loves. "I really enjoyed this book; it was such a delightful read. Baugh has done a great job of combining lovable, quirky characters, a wonderful story line with a twist of Southern charm." 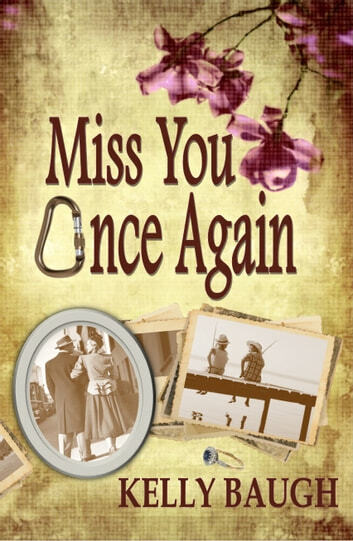 "Miss You Once Again is a wonderful escape. A sweet story that pulled me in quickly and kept me wanting more. " "This is a story that I will undoubtedly read again on a rainy day or when I want a reminder to slow down a little and appreciate the craziness that is family. 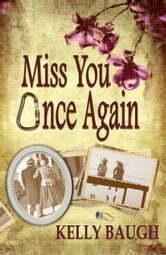 Miss You Once Again will sit in a place on my bookshelf with my other “read at least once a year” books." This book is true in many ways to living in the deep South. It also captures the interaction one might have in the South if they were coming from somewhere North, like CO. The love story between Lee and John Hunter is endearing, believable and authentic, and their "coming into love" helps add growth and maturation to their characters within the overarching storyline. It's worth the read! Loved this book with all my heart! This is a book to love with all your heart. Wholesome and heartfelt- I was drawn in immediately. Fell instantly in love with Johnathan Hunter and found Lee's endearing flaws a perfect mix. Timeless in its concept, this story made me think of my own grandmother more than once. I found myself smiling along as it woke memories I myself have as s girl of moments spent with my grandmother and dressing up in her fancy clothes and enjoying her southern hospitality. It solidified for me the importance and value of family and roots – to know where you come from and know that you can always hold home in your heart. Sad but full of love. I thoroughly enjoyed this book. Not my usual taste. Nice and cozy. Good read for a rainy day or quiet afternoon. What a wonderful book! This book pulled me in to the story from the first page. You really felt like you were a part of the story and felt part of the struggles and joys of each of the lives of the characters. The characters were very well developed. It was very enjoyable to read, and I look forward to more books from this author! Enjoyable reading. Recommend for a relaxing read. Greatly enjoyed this sweet story about a young woman's journey to the S0uthern home and town of her grandmother. Since I spent most summers in my youth visiting my grandparents in a small southern town, I felt right at home on the porch swing sipping sweet tea and visiting with past friends and relations. The emotional conflicts dealing with her grandmother's passing, settling the estate and revisiting past relationships and romances were entertaining and thought provoking. Easy to read and hard to put down. Recommend strongly for an escape from the frantic pace of life and an escape to a cozy southern town with friendly faces and sweet tea.